Congratulations Triple A Award Winners! I am proud to announce that Jayden Cline and Julia Reimann are the recipients of our ERHS Triple ‘A’ Award nominations. Sponsored by the Minnesota State High School League, the AAA Award – Academics, Arts, and Athletics – is a unique recognition program designed exclusively for Minnesota high school seniors who have excelled in the classroom, on the athletic field, and in the fine arts. Every member school of the League is invited to nominate one girl and one boy for the Triple “A” Award. Nominees must be a senior in high school, have a cumulative GPA of 3.0 or higher, participate in MSHSL fine arts and/or athletic activities, and comply with the MSHSL Student Code of Conduct. 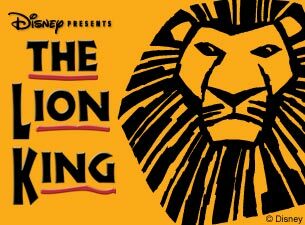 Here is the form for all students who wish to attend The Lion King with East Ridge High School on January 17th. Please use the following form to submit theatrical work, past and present, in order to keep accurate records for spring induction. Participate in each of the three main-stage productions in some capacity (e.g. acting, technician, set construction, ushering, etc.). Earn a bear minimum of ten Thespian points for East-Ridge-related theatre activities (see details above about point allocations). Complete at least ten set construction hours in the East Ridge scene shop. This total is inclusive of individual production requirements. Please use the above Google form to input participation as that documentation will be used to track lettering as well.